23850 Via Italia Cir #406, Bonita Springs, FL.| MLS# 217064749 | Southwest Florida Residential Real Estate for Sale. 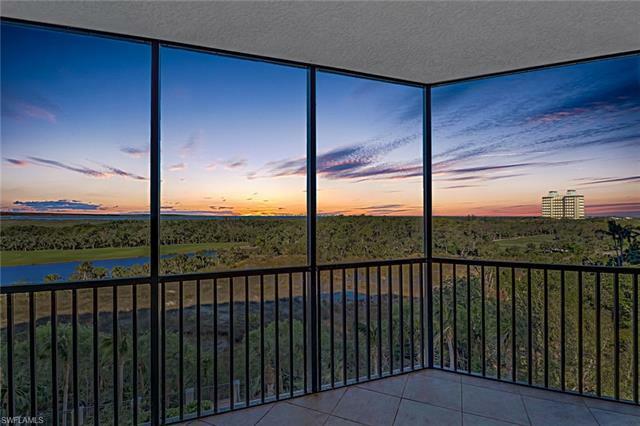 This spectacular corner condo featuring stunning western facing views of the Estero Bay, golf course and preserve all from the sequestered, screened-in lanai making it the perfect place to enjoy sunset. Interior features include upgraded cabinetry, a spacious den with a private balcony, two guest rooms sharing an exclusive, eastern exposed balcony, plus much more. Building amenities include a fitness center, social room, movie theater, business center, pool area pavilion, grills and cabanas. Situated just minutes from upscale shopping, dining, sugar sand beaches, and The SWFL Regional airport puts Florencia in an ideal location. Being an extremely social and active community, The Colony at Pelican Landing offers a plethora of amenities. Some amenities include golf, tennis, sailboats, kayaks and canoes. Classes are also offered such as exercise, educational, arts and crafts and ample social activities. Additional amenities include a private beach club with water taxi, boat docks available, The Waterfront Bay Club providing complimentary breakfast, live entertainment and evening dining.